The law grants the same strong rights to parents whether or not they are married to one another. The law in California is gender neutral. Because your rights are the same, the difference between married and unmarried parents is mostly about the technicality of the type of lawsuit that you file. 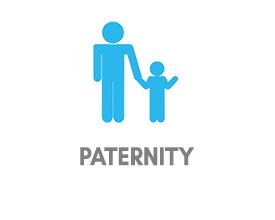 Most parents who are not married will want to establish their parentage and custody rights through a “Petition to Establish Parental Relationship”. This type of lawsuit will enable parents to get a court determination of paternity, in addition to orders for custody, visitation and support. Every case is unique. The information below is intended to give you a general overview of the child custody and visitation law and not intended as specific legal advice for any particular case. For a better understanding of your particular case and needs, we encourage you to call our office at 619-236-0533. California law supports the concept that, whenever possible, all parents should have frequent and continuing contact with their children. In most cases this means parents should be able to spend as much time with their children as their work schedules, the location of their residences and their own willingness to be available will allow. Absent issues with controlled substances, domestic violence, serious mental illness or other circumstances that might impact their health and safety, both parents are entitled to frequent and continuing contact with their children. The right of parents to have a relationship with their children is fundamental under the law. This means that no court can make long term orders impacting the parental relationship unless both parents have strong due process protections. Family courts in California will respect most agreements that parents are able to work out among themselves. Cases that resolve by agreement result in reduced stress for all family members, especially the children. We utilize our experience and skill to facilitate a negotiated settlement of your child custody and visitation issues whenever possible. Not all child custody and visitation cases are capable of resolution by agreement. Parents in such cases must litigate to enforce their rights. With over 25 years of experience providing legal representation in child custody and visitation matters in San Diego County and Southern California, we have the skill and experience to help parents who need to protect and fight for their children in all of these situations. Once you have filed your case, you will need to file a motion to obtain specific custody and visitation orders. By filing such a motion you will trigger a process requiring your attendance at a court sponsored mediation before the court gives you your orders in a separate hearing. Understanding how the mediation process works before participating in it is critical to your case. In San Diego County cases, if you are unable to agree in your mediation, your mediator will make a recommendation to the judge advising how you should share your children. We will help you to understand this process before you participate, including strategies and techniques for promoting an agreement with the other parent, as well as advice on how to present a reasonable proposal to the mediator if you are unable to agree. Our experience shows that such preparation increases your likelihood of a positive outcome. You will be required to participate in the mediation process whether you are seeking to obtain your first custody orders or you are seeking to modify existing orders. The family court always has the jurisdictional power to make changes to child custody and visitation orders, so long as your children are minors and not otherwise emancipated. While consistency and stability is important to your child’s well-being, life circumstances often bring about change which is unavoidable. Changes in school, the location of a residence, involvement in sports or other extracurricular activities can lead to friction and stress in families that can often be resolved by the negotiation of agreed upon court orders that make clear to everyone where your children should be and what they should be doing on any given day and time. These issues can also include children with special needs or therapeutic regimens. Frequently such orders can be agreed to, prepared and filed with the court. Courts will generally respect anything that the parents can agree on. Sometimes such orders can only be obtained through contested proceedings. Whether you are seeking to move away with a child, or seeking to prevent someone from moving with your child, the most important thing you should know is to seek legal advice as soon as possible. This is due to the fact that parental rights are strong for both parents. This means that, if it is going to be contested, there is a minimum time frame that your move away case will require, regardless of how strong your case may be or the likelihood that you will win. The most common mistake that parents who seek orders to move with their children make is to make arrangements for their move, often accepting a job and/or sending a spouse ahead to set up a new residence, without understanding how long it will take for a court to allow them to leave with their children. The most common mistake made by parents who are seeking to prevent a child or children from being unjustly moved away is failing to understand how strong their rights actually are. These people may delay seeking legal advice or taking action because they do not understand that they may have the power to prevent a move. Whichever side you are on, the most critical action for you to take is to obtain legal advice early on. Because every case is unique, we urge you call 619-236-0533 for a live, no obligation telephone consultation with a paralegal or attorney as soon as possible. Although grandparent rights are not always as strong as parental rights in California, the law provides in many specific situations for grandparents to obtain court orders for custody and or visitation with their grandchildren. Your ability to obtain such orders will depend on the unique circumstances of your case. Please call us at 619-236-0533 to have a live, no obligation telephone consultation with a paralegal or attorney about grandparent rights. When the health and safety of your children is at stake, it is often necessary to take swift action. In extenuating circumstances we can obtain temporary emergency orders, sometimes on as little as 24 hour’s notice, to limit visitation with a child, to prevent a child or children from being moved without due process or to have a child returned who has been held over during a visitation or moved without court orders. These are just a few scenarios that might require emergency orders. If you feel that you have an emergency child custody or visitation issue, we urge you to call to speak to a paralegal or attorney for a live, no obligation telephone consultation at 619-236-0533. Family courts in California have the ability to order contributions to the attorney fees from one parent to another, based on need and ability. It is important to understand that this is a contribution and not a dollar for dollar reimbursement. The application of this law is similar to orders for attorney fees in child and spousal support proceedings. Information about attorney fees can be found HERE.